For applications where acoustic performance is important Arlico recommend using acoustic raft lights. Our suspended acoustic raft light, Melody, has been developed especially for areas where acoustic performance is essential. As well as incorporating excellent acoustic properties, Melody Acoustic Raft is energy efficiency and can integrate sound, heating, detectors and controls within the raft. The range of design possibilities with Melody LED Acoustic Raft are endless as Arlico can offer this product in custom lengths, custom RAL finishes and offer various choice of optics. 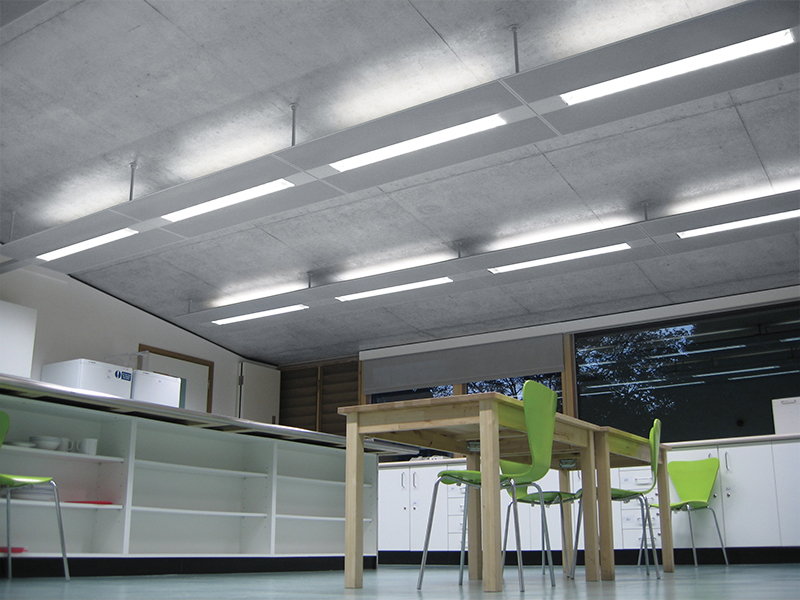 Melody certainly offers a cost effective lighting solution for public sector applications. For more information phone +44 (0)23 8202 2100 or email sales@arli.co.